Staying safe on the web has become a top priority for people all over the world. Whether it’s using a firewall to keep your children safe from adult content, or using encryption to keep your data safe from criminal hands, there’s a lot we can do to enhance the security of everyday browsing. Website owners need to take security into account in order to maintain their credibility in the eyes of web users. One of the decisions which a website owner will have to make at one point or another is whether or not to make use of an SSL. Here, we take a closer look at whether or not this is necessary. First things first: the question of what is ssl. SSL stands for ‘Secure Sockets Layer’. It is a kind of protocol which allows the data which is sent between a client and a server to be encrypted. In a nutshell, this prevents third parties from intercepting this information and making use of it. Websites can obtain an SSL certificate. With this certificate in place, visitors to the website will have their browser check the status of the certificate and will be alerted if anything is wrong. Essentially, a valid SSL certificate lets visitors know that the connection is secure. As we’ve mentioned, a lot of people in today’s world are concerned about security online. This means they are keen to interact only with websites which they deem to be secure. While this might not be quite so important to them if they are simply visiting a blog, or information site, e-commerce sites are a particular worry. Whenever a visitor is required to enter information they deem to be sensitive – this could be anything from a password to their bank details – they will be looking for the security of encryption. If your website requires users to enter sensitive information, it’s essential that you provide adequate security to keep this information safe. Failure to do so will almost certainly result in a loss of custom. 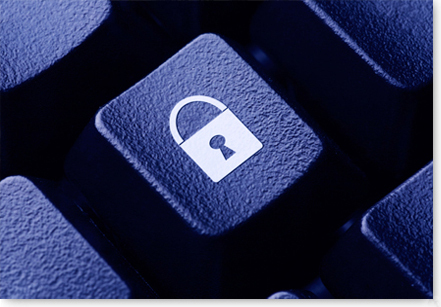 If a website requires absolutely no sensitive information to be exchanged, the need for encryption is reduced. This might be the case for a blog, or news site. Security online goes beyond the privacy of data, however, and it can be somewhat complex. SSL certificates can put visitors’ minds at ease, and so they can be a welcome addition to just about any website.